November 30th from 4:30 PM - 9:00 PM. 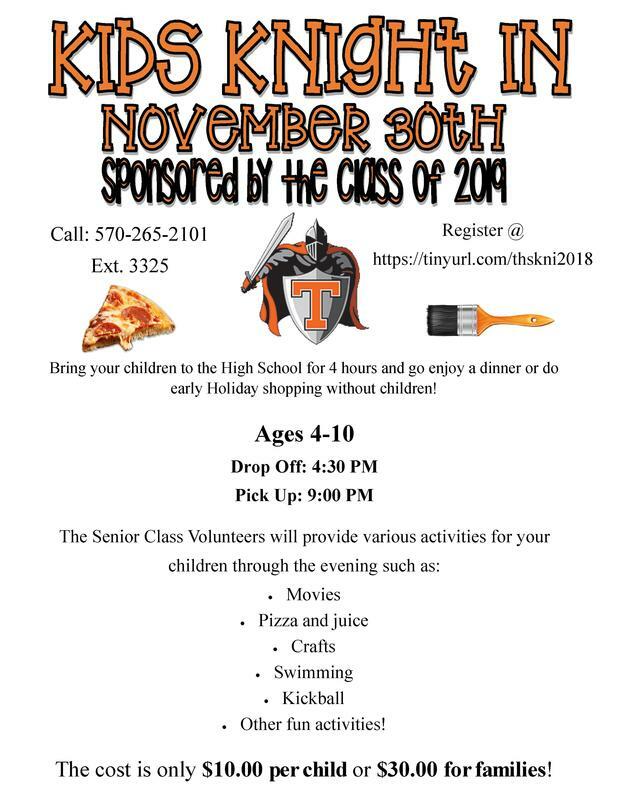 Bring your children to the High School for 4 hours and go enjoy a dinner or do early Holiday shopping without children! $10 per child.